Did you know 45% of schools have cancelled recess?!? Help us bring recess back to local schools. Recess Cleveland would like to host over 10 pop up recess events in Cleveland schools during the 2018-2019 school year. Schools that are awarded a free visit from Recess Cleveland will be selected through public vote and sponsorships. Funds raised during this crowdfunding campaign will go towards purchasing new equipment. Recess Cleveland aims to increase public participation, stimulate emotional growth, and promote physical activity by throwing pop up recess events in areas lacking positive environments for recreation. 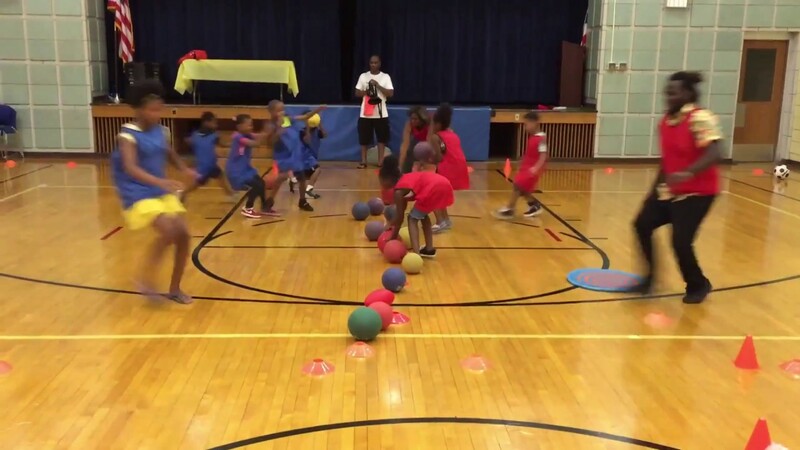 At our pop up recess events, we focus on playing large-scale games that have a low barrier of entry and require a unique combination of skill and teamwork. Our events start with ‘old school recess’ - we drive to an empty lot in Cleveland and spread our recreational equipment (Frisbees, ‘Skip its’, hula hoops, etc.) out in the lot for participants to use until enough community members and previous event attendees arrive for our organized games, including Capture the Flag, Zorb Games, Battle Ball, Battle Soccer, Traditional Kickball, Ultimate Frisbee, and Whiffle ball. In between games, we create contests (e.g. hula hoop, tug of war, dance, etc. ), and with the support of food donations from individuals and other community organizations, we often share food. Over 4100 people have attended the 50 Recess Cleveland events we’ve hosted in the past 8 months and we hope to offer nearly 30 more pop-up events at locations throughout the Cleveland by the end of the year. This program is uniquely important for kids in our communities given the diminishing extracurricular activities in our public schools, especially recess. There is a strong need for positive, safe experiences for our youth and community members of all ages. Research shows there is a direct correlation between physical activity and an overall positive, healthy lifestyle. Unfortunately, there is also a direct correlation between impoverished neighborhoods, minorities and a lack of options for physical activity. Only 61% of African-American students get recess at school as compared to nearly 85% of white students. Neighborhoods with high rates of minorities and low incomes are the least likely to have resources to provide physical activity to its residents. Recess Cleveland simply provides these opportunities. During recess events, the Recess Cleveland team builds an environment that helps neighbors who don't often see each other interact, brings families together in fun, encourages interaction between youth, adults and seniors all using fun community building activities and friendly competition. The benefits are many; including an increase in community engagement, an increase in positive interactions between neighbors and other attendees, and improvement in physical health via exercise for those who participate in the recess games. Neighbors in areas that support recess events will not only recognize each other from previous events, but will also have talking points when engaging in conversations. The positive relationships we develop should also deter fighting and reduce crime as neighbors often begin looking out for one another again. Recess Friend - includes a shout-out on all of our Social Media channels and an early bird ticket to our October 12th Fundraiser (early bird promotion ends 9/26). Help maintain a safe environment while playing.